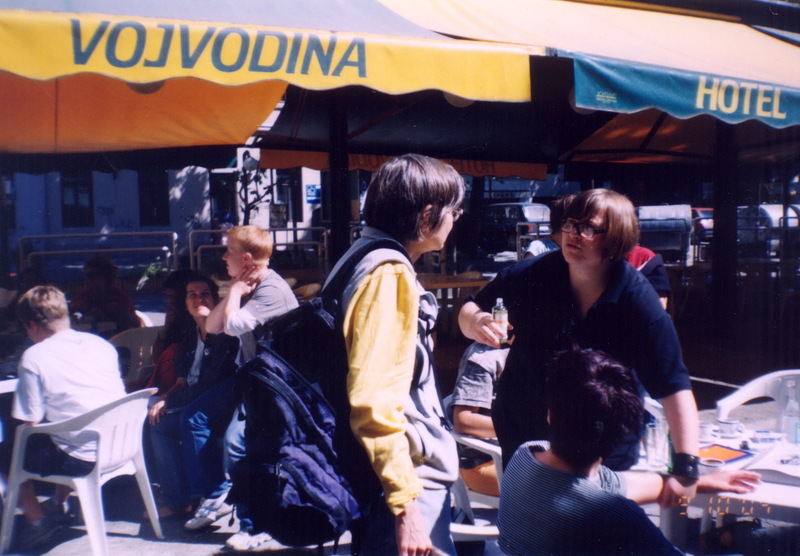 From the 9th to the 12th of September 2004 in Novi Sad, The Third Lesbian Week: a gathering of lesbian activists from the states of the former Yugoslavia was organized by Labris, a lesbian human rights group from Belgrade, under the name Our network, our strength. The meeting brought together 45 participants - individuals and representatives of organizations: Center for Civil and Human Rights, Skopje; Deve, Belgrade; Free Rainbow, Podgorica; Labris, Belgrade; Lambda, Niš; Lesbian group Kontra, Zagreb; Legebitra, Ljubljana; Lori, Rijeka; Organization Q, Sarajevo. The most important fact from this gathering is that, since 1997, when gatherings of lesbian women activists from the former Yugoslavia began happening, for the first time lesbian activists from organizations from Macedonia, Bosnia and Herzegovina and Montenegro participated. Participants of the Third lesbian week worked on raising awareness of lesbian rights and identity, exchange of knowledge and experiences of lesbian activists, strengthening of the ex-Yu lesbian network and joint action. • new organizations and initiatives have formed: Angelina Jolie Fan Club, Free rainbow, Center for Civil and Human Rights, Association Kum, Pride, Association Q, Gayrilla. At this meeting, more than half of the participants were young lesbian activists. • Representatives of organizations and autonomous activists estimate that the network activity is adequate to the capacities of the organizations and that it is of great importance to organizations and individuals in the region. • Mutual cooperation, support and solidarity, exchange of information, experience and knowledge are special value of the network; support to new groups; empowerment and motivation of new activists, support to and strengthening of long-time activists. • We will work on empowering lesbians and lesbian activists and on supporting organizations and initiatives. The following thematic gathering will be organized in Croatia in 2006. These meetings gathered between thirty (30) and sixty (60) lesbian activists from the ex-Yu region.